Fair, flat rate junk removal with one of the largest trailers in town! 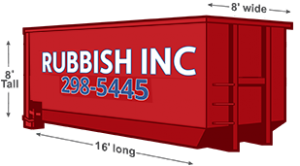 We can handle all of your junk removal and trash hauling needs, big or small. 1 Get an Estimate Over The Phone or Via Email. 2 Schedule a Convenient Two-hour Arrival Window. 3 Let Our Crew Load & Only Pay for the Space You Use! 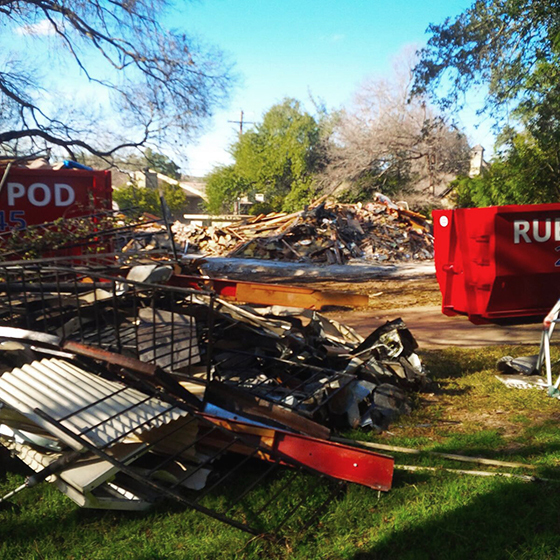 When it comes to getting rid of junk and old furniture in Austin, we believe in working smarter - not harder. No matter the size and amount of items you need to clear out, you can feel confident a quick call or email to Rubbish Inc will give you just what you need to get the job done. By providing a few pictures of your project we can help you determine the best option to get rid of it all without worrying about overpaying or overbooking. Small trash pickup jobs like an attic clean out, small appliance removal or getting rid of that old worn out mattress is a cinch with Rubbish Inc. Don’t throw your back out lifting your old living room set. 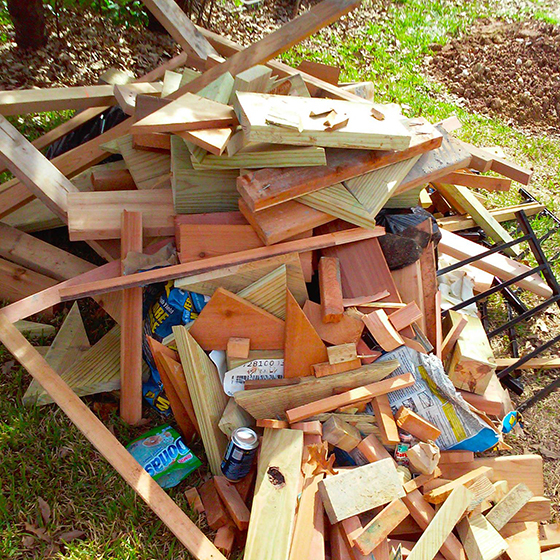 Just let us know where on your property the junk will be, and we’ll do all the dirty work! A major credit card is required for this service and pick up is always guaranteed within 24 - 48 hours. Ready to get rid of your junk? Our junk & old furniture pick-up service is designed to be quick and painless. Just let us know where the items are, and if possible either place them in bags or move to one central location. If you're not able to get it altogether in one spot, or have multiple spaces or entire rooms to be cleared- that's okay, too! Every project is different, and we're always happy to accommodate your needs. Just give us a call with any questions and we'll help you schedule a crew to take care of everything. While we do many different types of jobs, we pride ourselves on our high standard of customer service. Whether you’re a seasoned contractor, or a first time caller with an old mattress- we’re here to help. There’s no reason for you to worry about how many items there are or how much it will cost. Our first rate services are backed up by transparent billing and pricing at a flat rate, so no surprise fees ever show up after we leave. We don’t require you to meet with us, we understand you have jobs and other obligations. All you need to do is let us know where everything is, and we’ll get it out of your hair. 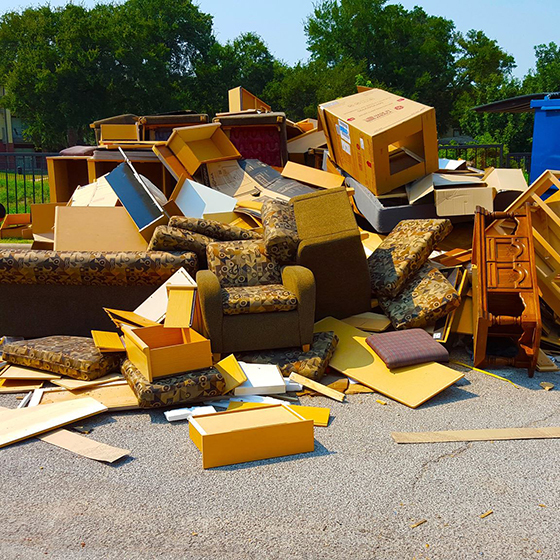 Our junk and trash haul off service is setup to make your life easier. 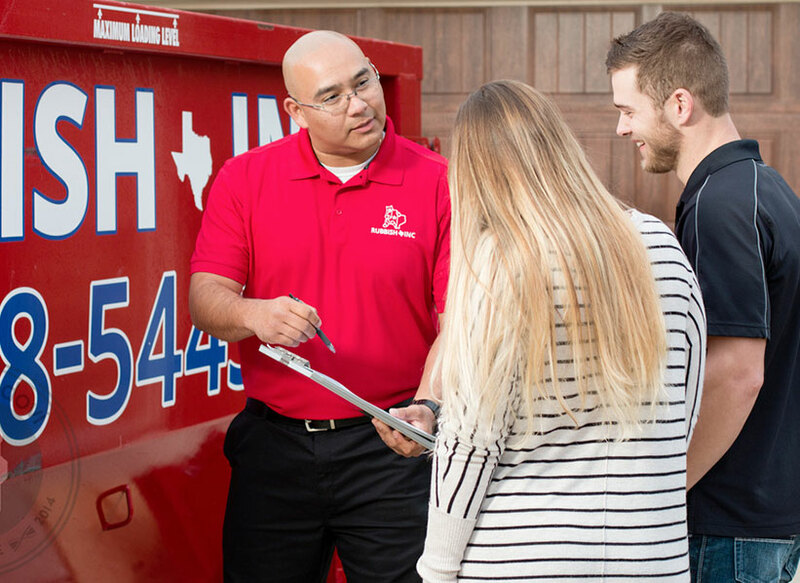 No guessing on quotes, no surprise fees, just flat rate junk removal pricing with flexible options. 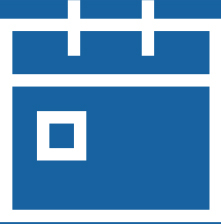 Always feel free to email or call us if you aren't sure how much space you need- we’re happy to lend our expertise. Not sure if we can take what you have? Have an unusual request? Or something you’re not sure you can throw away or if we’ll take it? Give us a ring or send us an email and we’ll help you figure things out. Before we were in construction and hauling, we were in the Demolition industry. Before we started in commercial and residential demolition, we were movers. As movers by origin, there is absolutely no item we won’t take as long is it doesn’t fall within our unacceptable junk list. We do not accept hazardous materials including liquids, chemicals, asbestos, paint, gas, oil, and biological/medical waste. A PLUS +++ CUSTOMER SERVICE!!! The two guys showed up early to haul off remaining stuff from a duplex demo. I will definitely use this company again. All communication with Rubbish INC was super-professional. Smooth transaction from start to finish. No up-sells or extra charges. Love it.